Earth is tilted at an angle of 23.5 degree across its axis of rotation. This tilt is responsible for seasonal changes, without this there will be no seasonal changes but instead single season per area. The most direct sun rays hit areas would always be warmer. The increase in tilt of the Earth severe the the seasons. Winter becomes even more colder and summer becomes more warm. 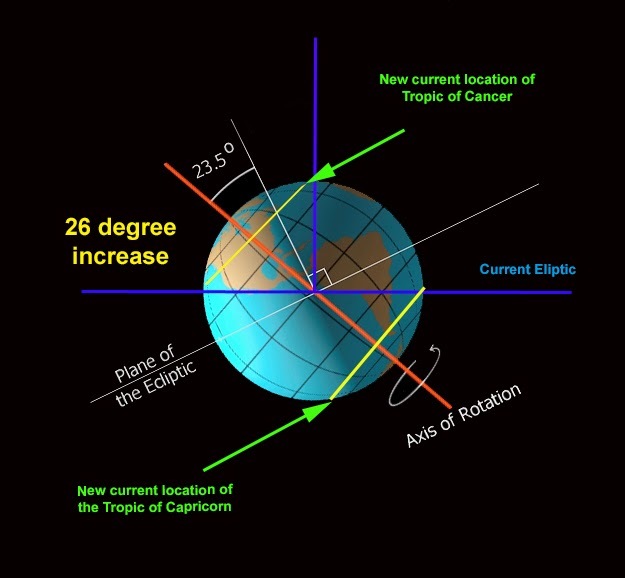 Nowadays tilt is 23.5 degree but it changes with a cycle of about 40,000 years the tilt varies between 22.1 and 24.5. Cooling of summers are thought to allow snow and ice formation on the high altitude areas which can stay for more time and becomes solid making massive ice sheets. Earth covered with more snow will reflect more sun light and Earth will becomes more and more cold. This is responsible for the ice age where Earth is covered with snow. The tilt as implies to the seasonal changes other factors that gives seasonal changes are the change in the rotation of Earth's orbit. The other is the precession, changes in axial precession increase seasonal contrast between northern and southern hemisphere. When northern hemisphere have summer southern will be away from sun which will be the winter season. Eccentricity is the change in Earth's orbital which can be away from sun or near the sun. When it is at the furthest distance from the sun, temperature will be cooler. The near sun orbital, heating process will be at peak warming up the Earth. Ice sheets will melt and transgression will occur, water level will rise. Changes in eccentricity affect the Earth sun distance, The shape of Earth becomes nearly circular from elliptical in a cycle that takes between 90,000 to 100,000 years. This cycle is called Milakovitch cycle which was after Milutin Milankovitch (1879-1958). Sedimentary structures is associated with sedimentary rocks, nearly all sedimentary rock will contain sedimentary structures. These are developed right at the time of deposition or shortly after deposition. These are important features that tells us the history of deposition and sediments transportation. 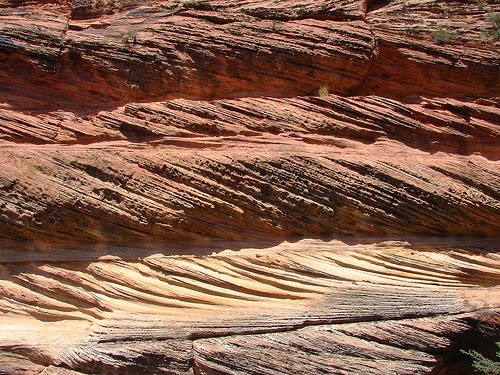 The most common sedimentary structure is the bedding or stratification, layers that develops during the deposition. 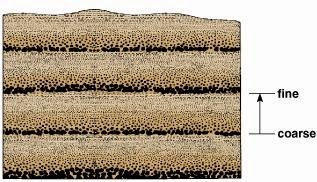 Sediments deposits at a level surface so thus applies the law of horizontality that states as all sediments deposit as horizontal layers. Cross bedding consists of small layers that are deposited at an angle to the main beds. These are developed in the transportation of sediments by wind or water. The sediments as transported by wind, these moves down slope and is thus at an angle to the main beds. 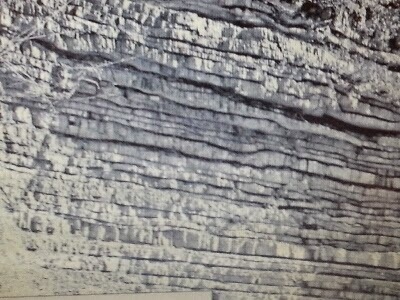 Same is the case with the water where water moving down slope deposits sediments at an angle to the main bed. Cross bedding is common in sands deposited by wind, streams, ocean currents and wind on beaches. 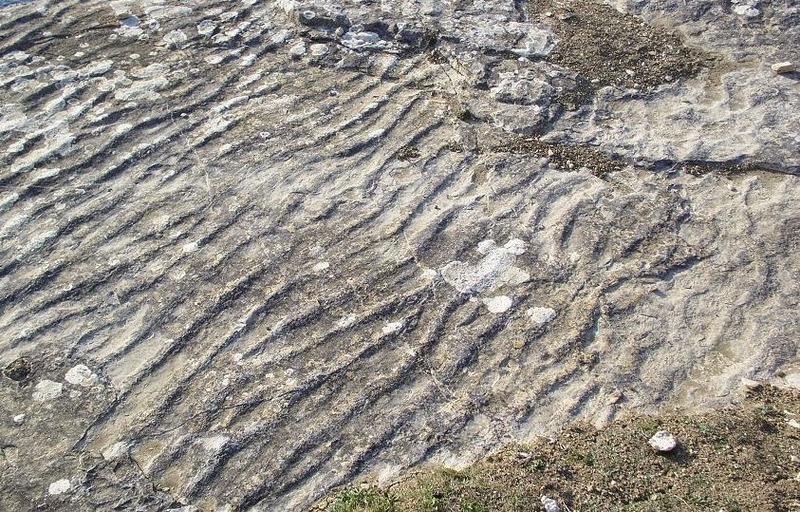 Ripple marks are the small ridges which are developed by the wind or water. These contains of crest and trough just like sand waves or dunes but are at a small scale. These gives the movement direction of the water or wind. If the movement is in a single direction then the ripple marks are asymmetrical and when the movement is to and fro like a pendulum then the marks will be symmetrical. Graded bedding is formed as the larger grains which is of-course the heavier settles down at the bottom and the finer and smaller grains settle later which will give a fining upward succession. Graded bedding is commonly formed at a flood plain or when both grains mixes in water. Mud cracks develop when mud shrinks as it dries up. This indicates that water was accumulated with it being in a shallow marine and then dries periodically. Alabaster is the name given to the source location Alabaston in Egypt. Alabaster chemical formula is CaSO4.2H2O and it is variety of gypsum. 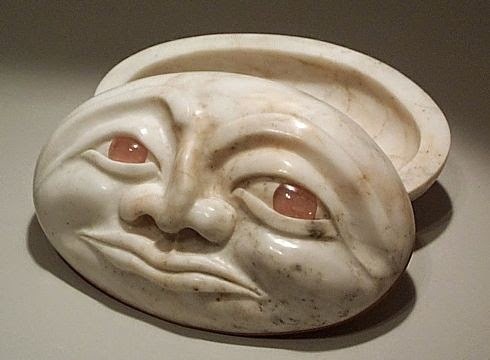 Alabaster, a beautiful, translucent, fine-grained stone, has been prized for thousands of years. It is similar to marble, and the two stones are often confused. Alabaster has been quarried for centuries in Italy and Egypt, although most so called alabaster artifacts from ancient Egypt and Rome are actually marble. Adding to the confusion, the term “onyx” has been applied variously to marble, alabaster, and true onyx, which is a form of quartz. The smooth, translucent appearance of alabaster resembles highly polished marble or onyx. The variety of colour and veining seen in various types of alabaster is also reminiscent of coloured or white marble. Alabaster is the fine grained form of the mineral gypsum (calcium sulfate). Marble, especially white marble, is mainly calcite (calcium carbonate). They are both metamorphic rocks, formed geologically under high pressure and temperature. 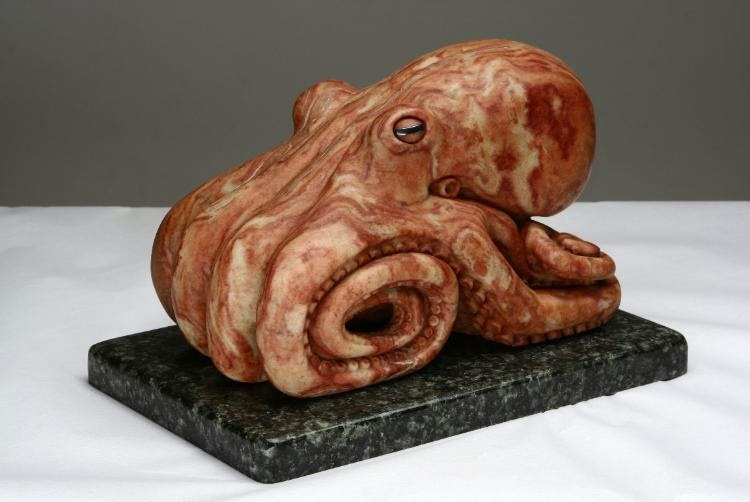 Alabaster is also sometimes confused with steatite (soapstone), another soft, easily polished stone. Steatite is comprised of the mineral talc, which is even softer than alabaster. 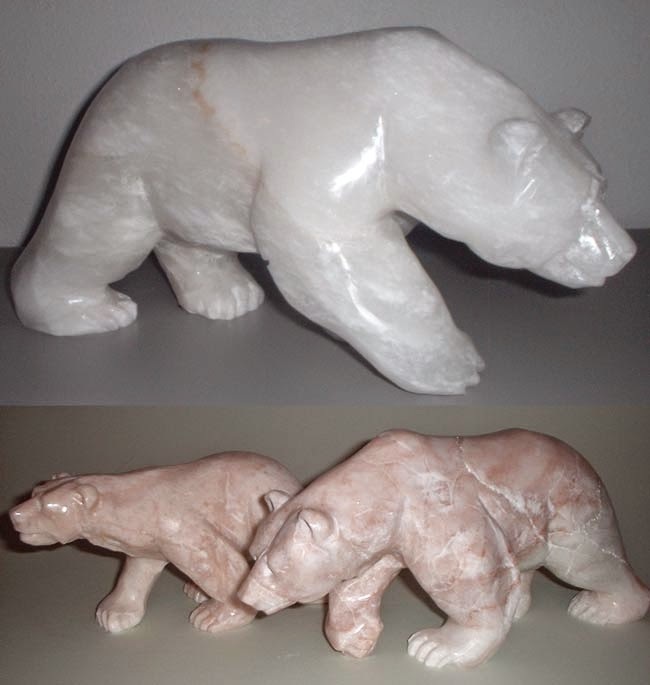 Most alabaster objects are found indoors, due to their vulnerability to moisture. These pieces are generally finely carved, smoothly polished, and are often painted and decorated with gilding. 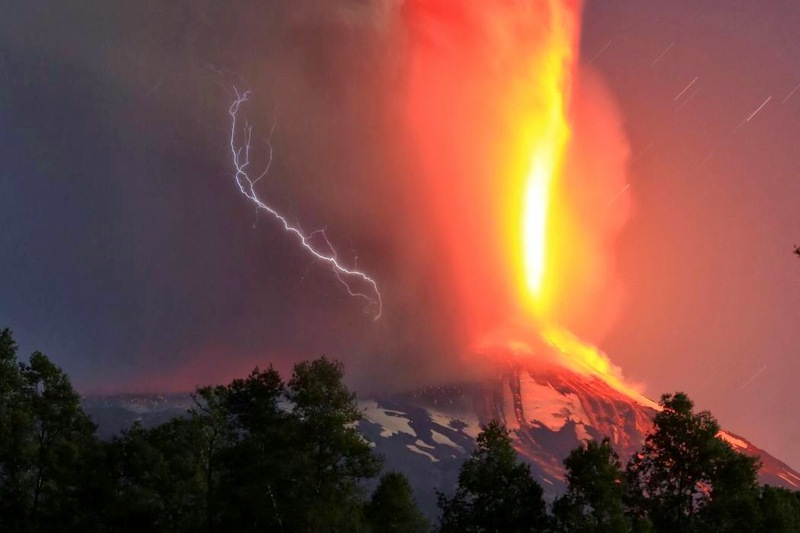 Villarica volcano is situated near a small city, Pucon. It lies in the central valley of Chile, south of Santiago. 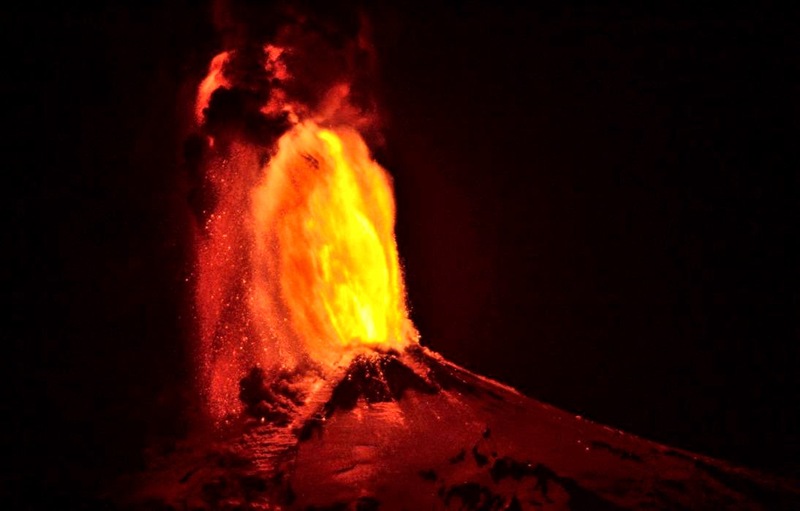 The volcano is an active volcanism in the South America. The volcano erupted early on Tuesday in the Chile with heavy smoke emission as lava slopes down. The volcano is about 9,000 feet in height and smoke was spewing at hundred of meters with ash. The Villarrica has a crater of about 200 meters in diameter and a lake of lava about 150 meters deep. It has a periodic eruptions every 10 to 15 years. Chile has more than 2,000 volcanoes in the Andes cordillera and about 90 of them remain active. Villarica is considered among the country's most dangerous. 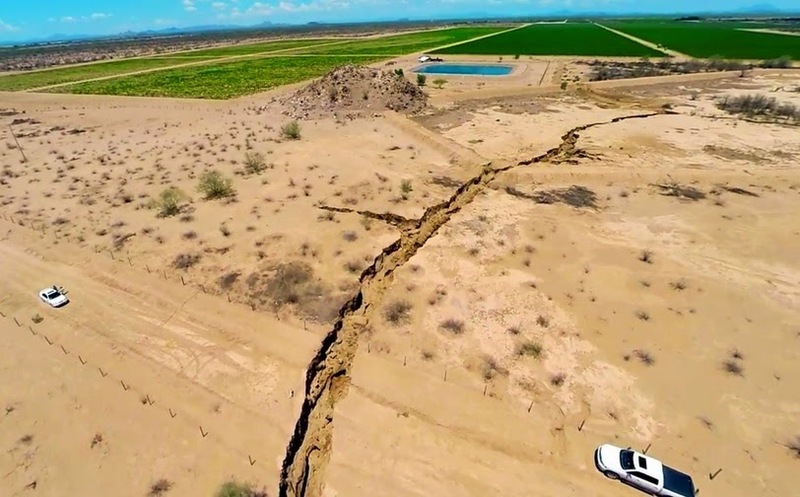 In the August 2014 a giant trench was reported from the Sonora state of Mexico. Crack is about 26 feet deep, 16 feet wide and over a mile long. The possibilities of the crack are not much to think about. As to see the crack it can be understood that its a collapse of the sediments (mud). As we are well aware of the extraction method of the minerals from subsurface or mountains by mining. A large tonnage of Earth material is extracted which produce a vacant space in the Earth. This is filled later with the material extracted from the mining area or else this will collapse by the space created. 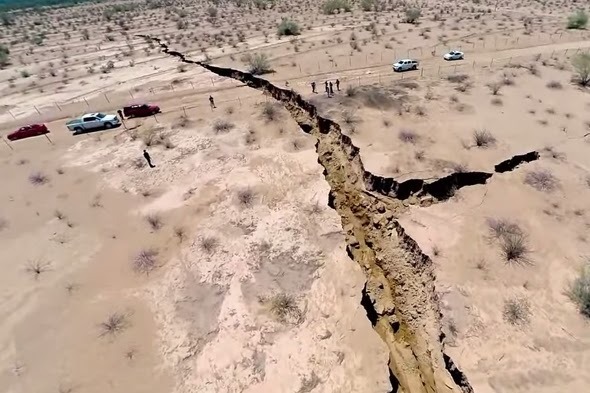 The very same situation is of the crack which was reported, can be clearly seen that the material collapsed which opened the crack and not the plates being apart. No other option can be considered but only one that possible subsurface stream which with time and by the aid of earthquake change the course leaving the pores vacant in the subsurface. With overburden these pores would not have sustained the pressure and resulted in Earth collapse. Due to mechanical weathering, carrying sediments away from the the surface deep into the vacant pore spaces. Water as a universal solvent can carry loose sediments with itself. Other possibility is that water logged the surface sediments where the cohesion forces is reduced when sediments are covered by the water molecules. Water can also help in increasing the burden over the vacant pore spaces in the subsurface just like a cloth soaked in the water, when absorbs the weight increases.